This paper demonstrates the preparation of chitin nanofibers from crab shells using a simple mechanical treatment. The nanofibers are small enough to retain the transparency of neat acrylic resin. Possessing hydroxyl and amine/N-acetyl functionalities, water suspension of chitin nanofibers was vacuum-filtered 9 times faster than cellulose nanofibers to prepare a nanofiber sheet of 90 mm in diameter. This is a prominent advantage of chitin nanofibers over cellulose nanofibers in terms of commercial application. Interestingly, chitin acrylic resin films exhibited much higher transparency than cellulose acrylic resin films owing to the close affinity between less hydrophilic chitin and hydrophobic resin. Furthermore, the incorporation of chitin nanofibers contributes to the significant improvement of the thermal expansion and mechanical properties of the neat acrylic resin. 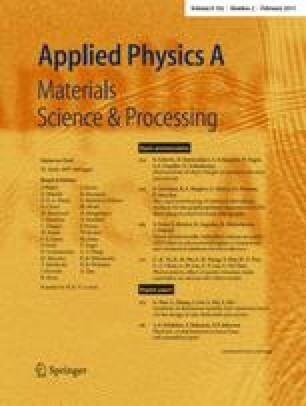 The properties of high light transmittance and low thermal expansion make chitin nanocomposites promising candidates for the substrate in a continuous roll-to-roll process in the manufacturing of various optoelectronic devices such as flat panel displays, bendable displays, and solar cells.